Our beloved Elizabeth Taylor, the beautiful and wonderful Queen of Hollywood passed on yesterday at 79. Elizabeth Taylor was the quintessential American Sweetheart of Tinsel town from her very first film Universal Pictures’ There’s One Born Every Minute, at the tender age of nine in 1942 to MGM’s National Velvet that shot her to limelight in 1944. 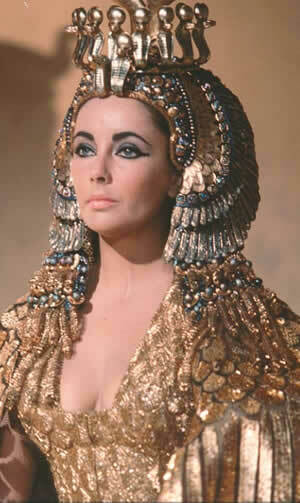 She was fantastic in many other films, but it was in Cleopatra the 1963 film directed by Joseph L. Mankiewicz that she attained her golden age in Hollywood and earned her crown as the Queen of Hollywood. She won the Academy Award for Best Actress twice and many other coveted awards for her awesome talents as an actress of all seasons from the Golden Era of Hollywood to the end. Liz was world famous for getting married eight times to seven husbands. She passed away on March 23, 2011 in the loving arms of her four children at Cedars-Sinai Medical Center in Los Angeles, California. May the beautiful soul Elizabeth Taylor rest in peace. The following are statements from the Elizabeth Taylors AIDS Foundation and Elizabeth Arden. LOS ANGELES, March 23, 2011 /PRNewswire/ — Legendary actress, businesswoman, and fearless activist Elizabeth Taylor died peacefully today in Cedars-Sinai Hospital in Los Angeles. She was surrounded by her children- Michael Wilding, Christopher Wilding, Liza Todd, and Maria Burton. She was 79 years old. In addition to her children, she is survived by 10 grandchildren and 4 great-grandchildren. A private family funeral later this week. In lieu of flowers, the family asks that contributions be made to the Elizabeth Taylor AIDS Foundation (elizabethtayloraidsfoundation.org). 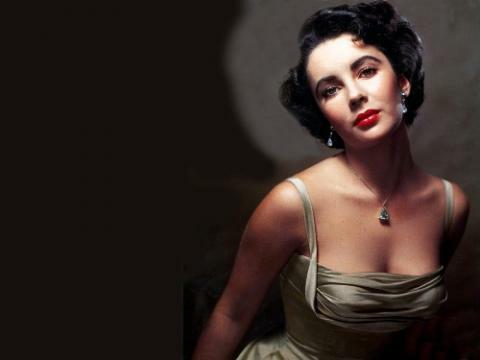 People wanting to send personal messages can log onto http://www.facebook.com/pages/Elizabeth-Taylor-Tribute. NEW YORK, March 23, 2011 /PRNewswire/ — Elizabeth Arden, Inc. (Nasdaq: RDEN), a global prestige beauty products company, has issued the following statement regarding the passing of Elizabeth Taylor. “It is with deep sadness that we learned of the passing of Elizabeth Taylor, the legendary actress, activist and businesswoman. As her business partner in the fragrance industry, we have held her in the highest esteem and have had tremendous respect for her extraordinary compassion, creativity and business acumen. “With the launch of her first fragrance in 1987, Elizabeth Taylor’s Passion, she built a fragrance empire and one of the most successful brands in fragrance history. White Diamonds remains a best seller almost 20 years after its 1991 introduction, a testimony to her transcendent and enduring appeal. Our best tribute to Elizabeth Taylor will be to continue the legacy of the brands she created and loved so much. Elizabeth Arden is a global prestige beauty products company with an extensive portfolio of prestige beauty brands sold in over 100 countries. The company’s brand portfolio includes Elizabeth Arden skincare, color, and fragrance products, PREVAGE® anti-aging formulas, the celebrity fragrance brands of Britney Spears, Elizabeth Taylor, Mariah Carey, Taylor Swift, Hilary Duff, and Usher; the designer fragrance brands of Juicy Couture, Alberta Ferretti, Alfred Sung, Badgley Mischka, Bob Mackie, Geoffrey Beene, Halston, John Varvatos, Kate Spade, Lucky Brand, and Rocawear; and the lifestyle fragrance brands Curve, Giorgio Beverly Hills, and PS Fine Cologne.